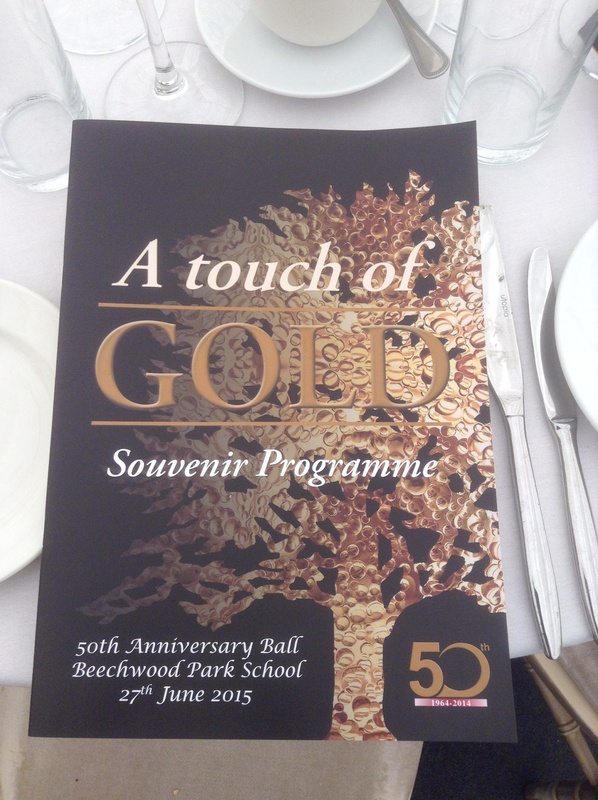 It’s the morning after the biggest event we have catered for, at Beechwood Park School. It’s the 3rd year we have been asked for their annual charity ball, but this year being their 50th anniversary they had 851 guests attending this mega black tie event! John and his kitchen team have worked relentlessly over the last week, peeling, chopping, mixing and baking to deliver a scrumptious 3 course menu fit for 2 let alone 851! along with 129 different dietary combinations to cater for, this really was a mamouth task. 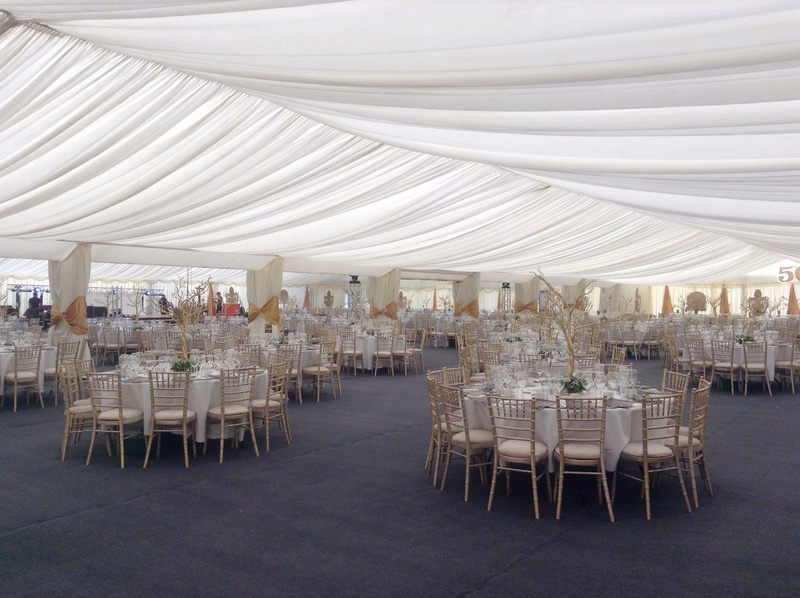 I, along with 12 of my fab front of house staff arrived Friday morning to a blank marquee that was almost the size of a football pitch! It was quite overwhelming to look at without the thought of just how much we had to do. 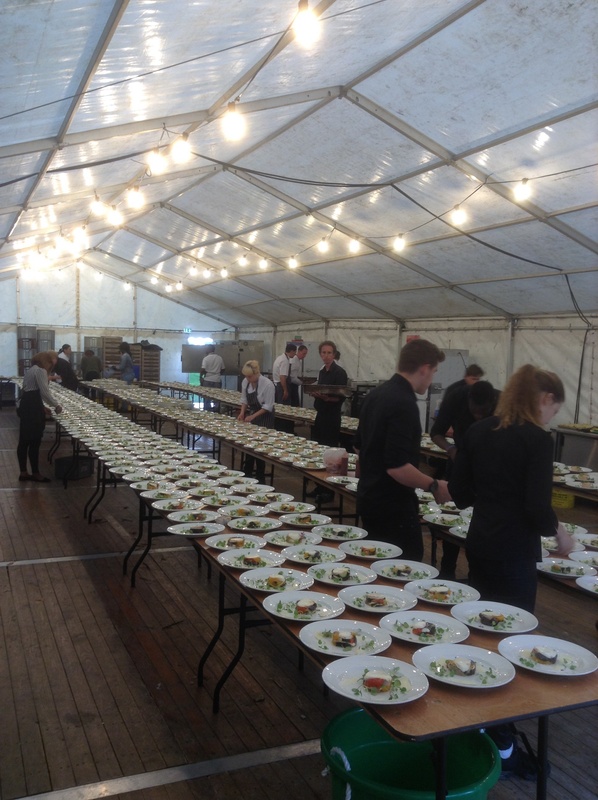 Six hours later we had 78 tables laid up with no less than 8 pieces of cutlery per person, croquery and 5 glasses. Holly and Emma folded and folded those napkins, each one with perfection. Saturday morning I arrived feeling slightly nervous with anticipation of what we had to achieve over the next 12 hours. Splitting the room and kitchen into 3 I set about briefing my managers and staff on how we were going to logistically feed all these guests with precision and not forgetting, giving that personnel touch which Kingfisher prides itself on! 60 front of house staff is a lot to brief and manage, but they all did me proud! We got every dietary spot on and almost every plate of food returned empty! 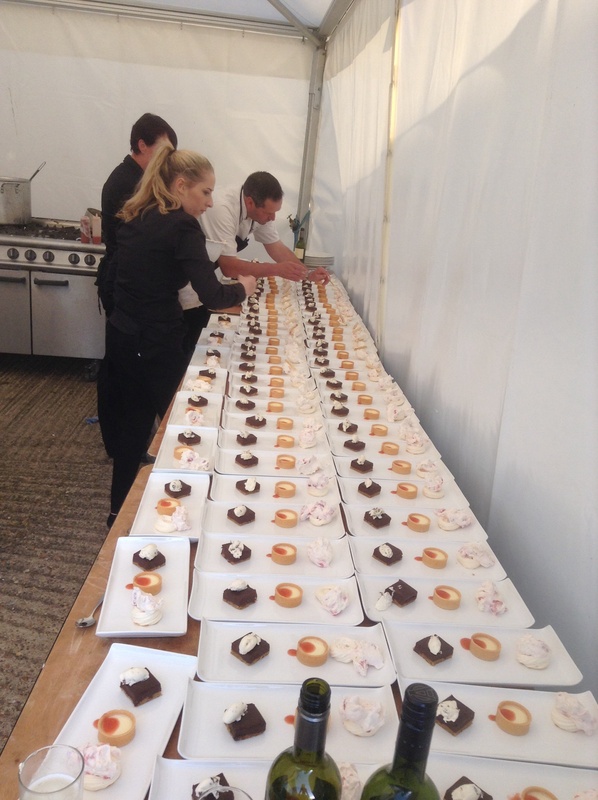 Once we had finished serving each course it was back to the start to clear, there was no let up! It was a never ending cycle! Loading the plates, cutlery and then the 4250 glasses back into boxes at 2am this morning seemed like it went on forever, but with a bit of bad singing and light banter from my team we soon had it done. We had some fabulous comments from guests about the food and service, I am so proud, I couldn’t ask for more than that! Well done everyone! A great weekend, despite the weather! Another successful weekend for us all at Kingfisher, with three weddings on Saturday dotted around Hertfordshire and Bedfordshire, once again our chefs and front of house teams did us proud! A three course wedding breakfast for Emily & James, at the Spirella Ballroom in Letchworth was a huge success. Managed by Ian and his team, with John in the kitchen serving a starter of Bruschetta of cherry tomatoes, Parmesan & rocket pesto, followed by roasted topside & chicken breast with Yorkist pub, red wine jus and buttered vegetables, finished of with sticky toffee pudding, salted caramel sauce & vanilla ice cream. 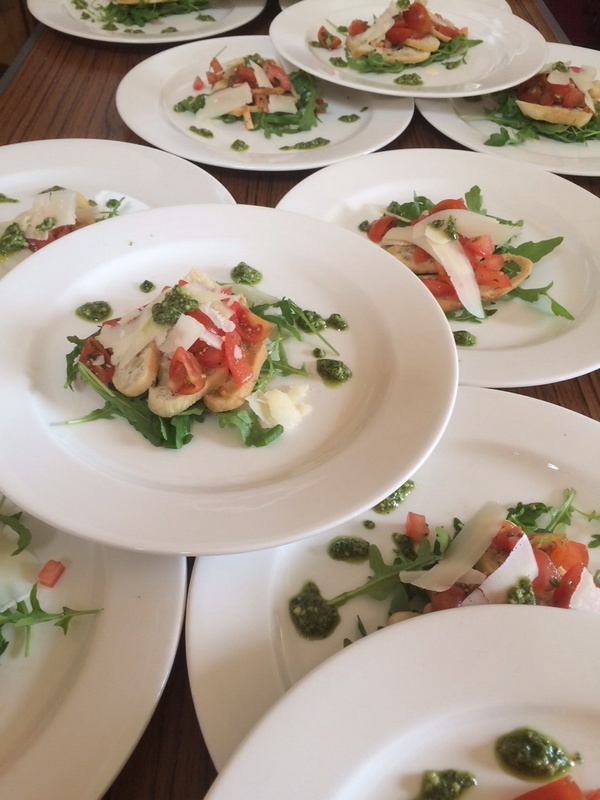 All the guests devoured the home cooked food and commented on how delicious it was! 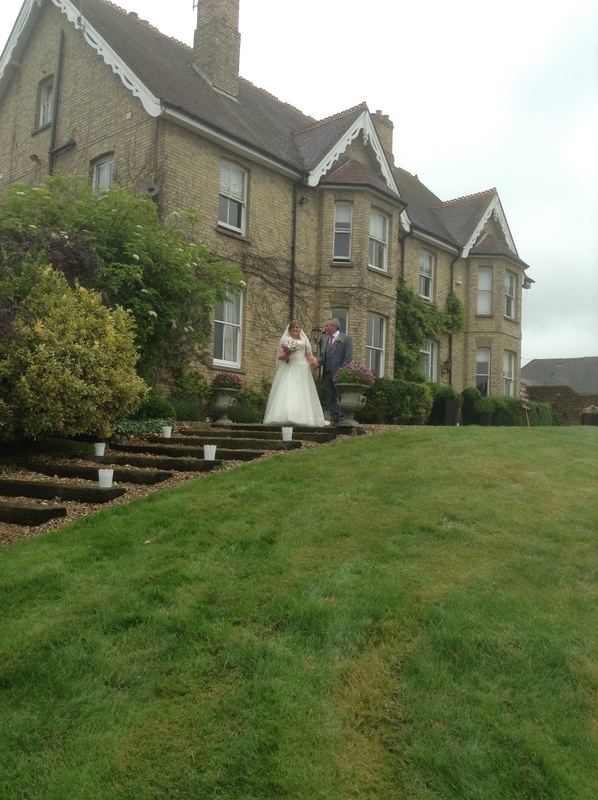 Katherine and Dan looked after Louise & John at a Bushey Lees Farm in Little Kimble. Canapes and champagne on arrival, followed by Kingfisher’s signature barbecue of Lamb, mint & a Feta burgers, Cumberland sausages, peppered minute steak and haloumi vegetable skewers served to the tables, along with sides of homemade salads and new potatoes, finished of with bowls of Eton mess & strawberry shortcakes. 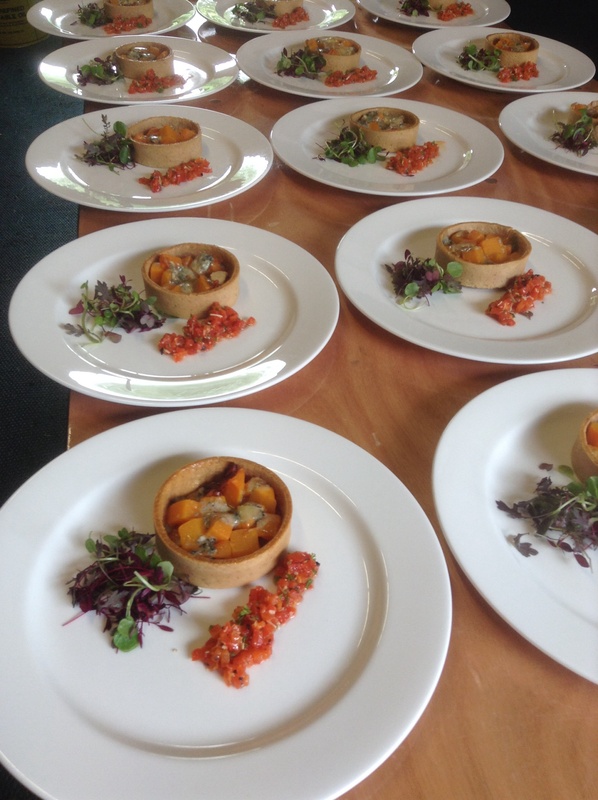 Another delicious meal which was thoroughly enjoyed by the guests, despite poor a Dan cooking it in the typical English rain! David & I looked after Sami & Amy at Bronham Mill in Bedford. 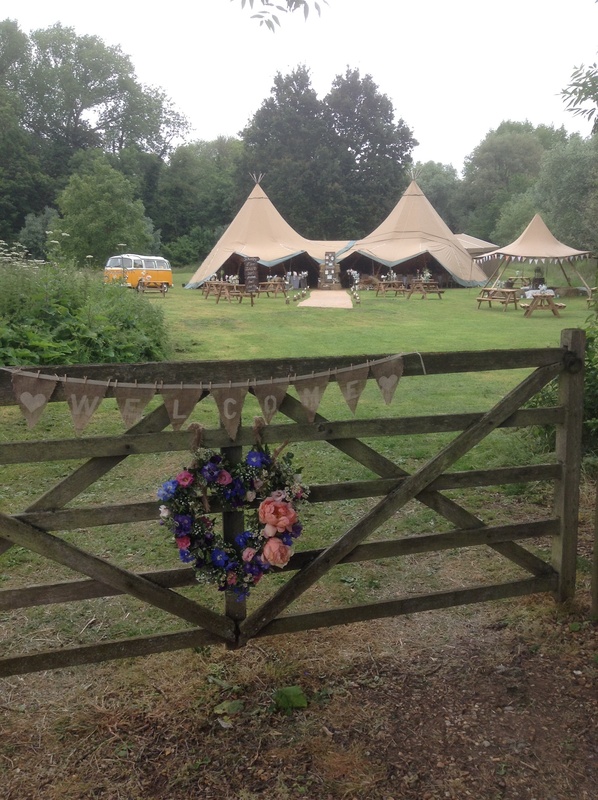 A beautiful location for a Tipi wedding and they had worked so hard on all the details and setting up, it was a shame the English weather wasn’t kind enough it let the guests enjoy it in its splendour! But the rain didn’t dampen the day! With drinks flowing and another delicious 3 course meal, (with probably the best lamb dish I’ve ever tasted! 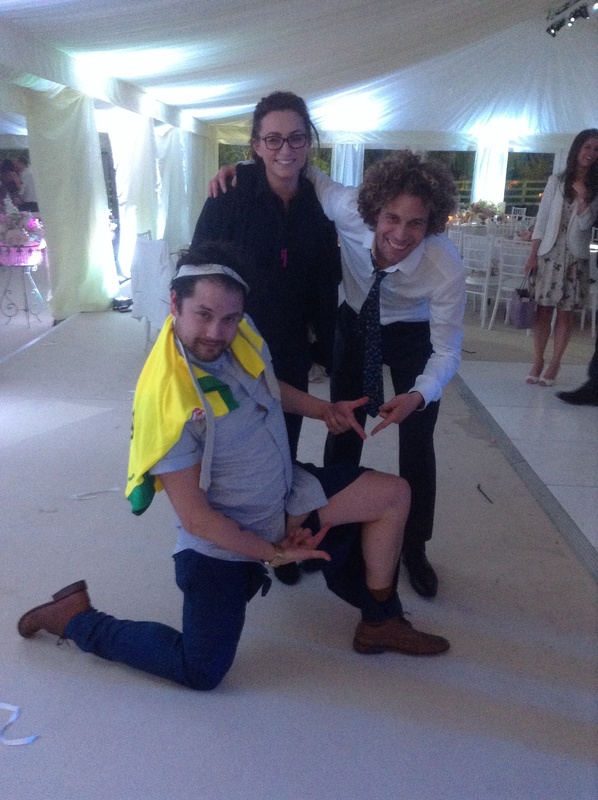 ), the guests soon forgot about their damp feet and got on with drinking, eating and dancing the night away! 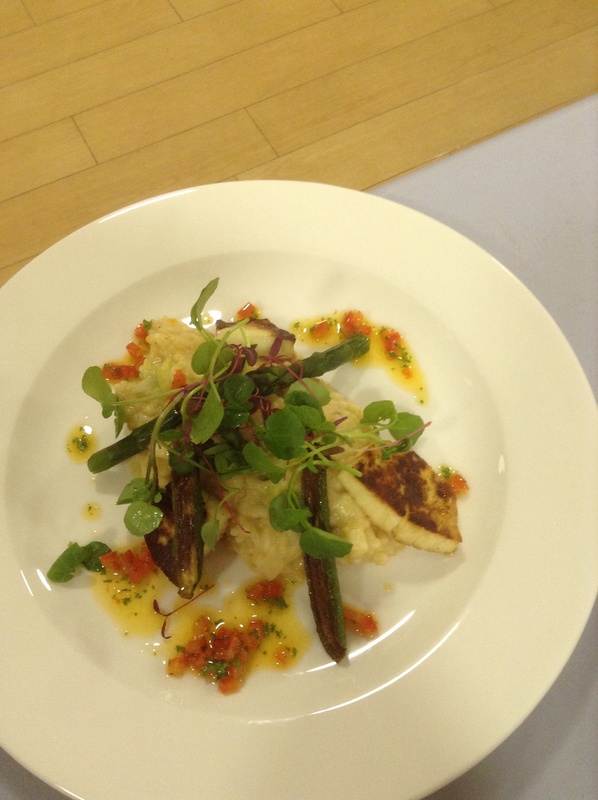 Another successful weekend for us, great clients, great staff and delicious food! And onto next week!
. . . Just a mere 850 to feed on Saturday night!! 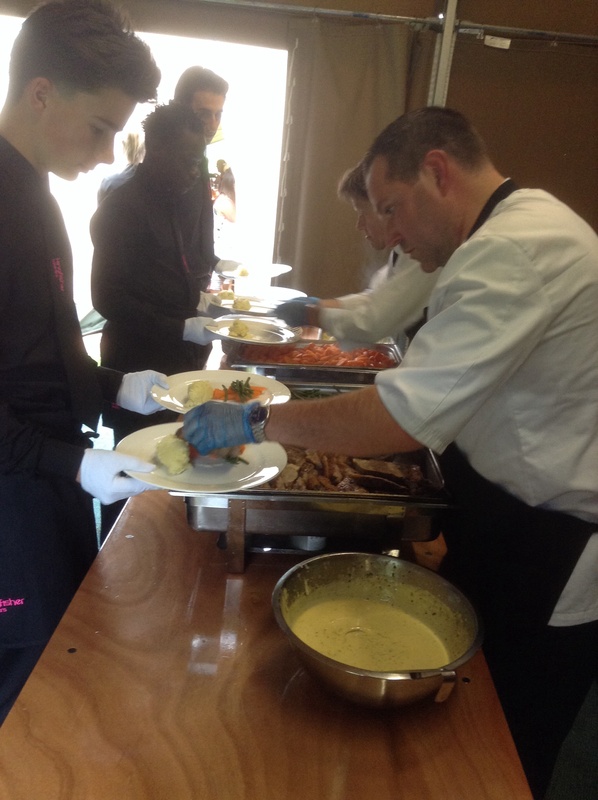 Saturday was another busy weekend for us with three weddings to cater for across Hertfordshire countryside. 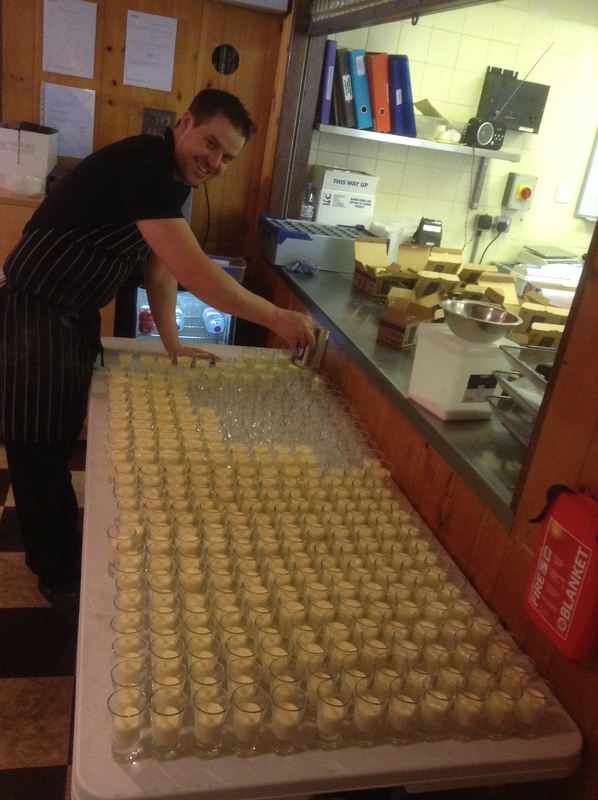 Once again all different, with a 3 course plated meal consisting of asparagus, Proscuitto, & herb salad, followed by Sirloin of beef, dauphinoise potatoes, field mushrooms & tarragon butter, finished off with a trio of desserts for 150 guests in Wheathampstead; a 4 piece BBQ followed by hog roast at Lodge Farm and a finger buffet served in Watford! 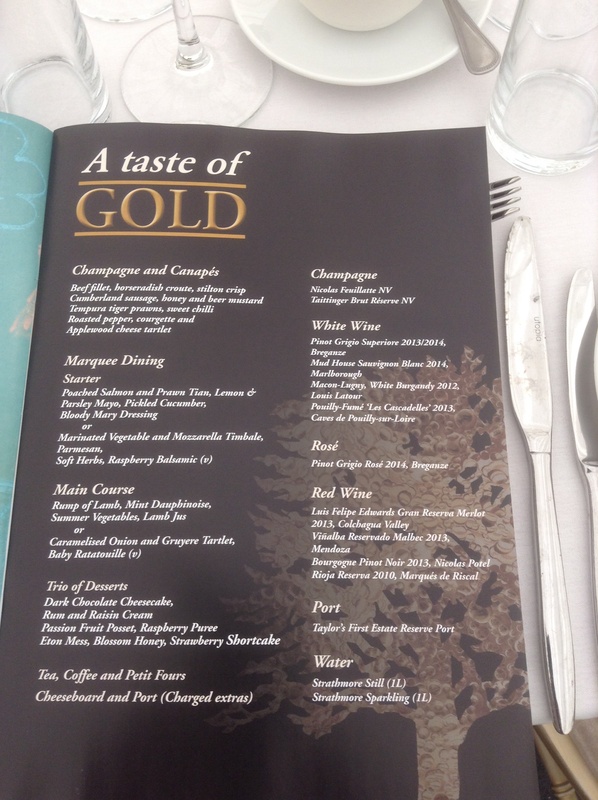 The care and presentation once again put into each of these menus by our chefs was second to none. With drinks flowing and bands playing late into the night, we had three very happy couples successfully looked after. Well done teams! 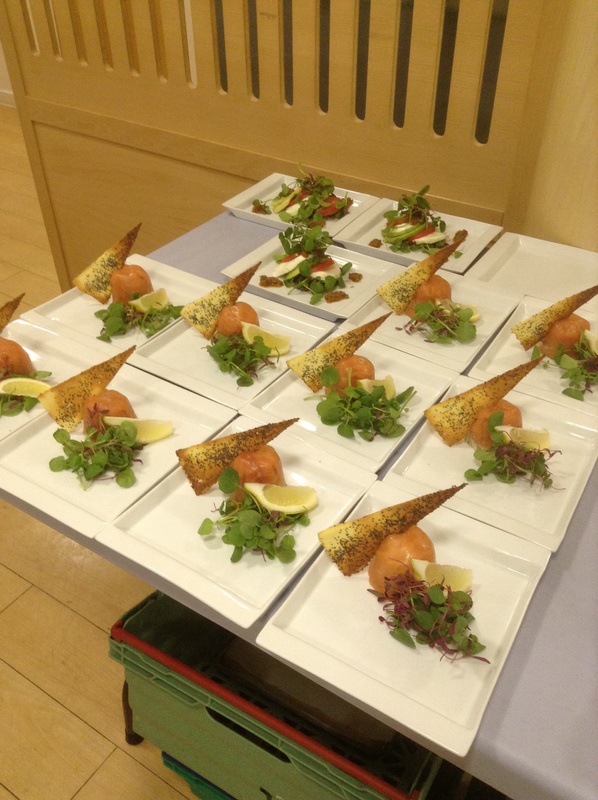 Our fantastic kitchen team, run seamlessly by head chef John, have really pulled the stops out over the last few days! 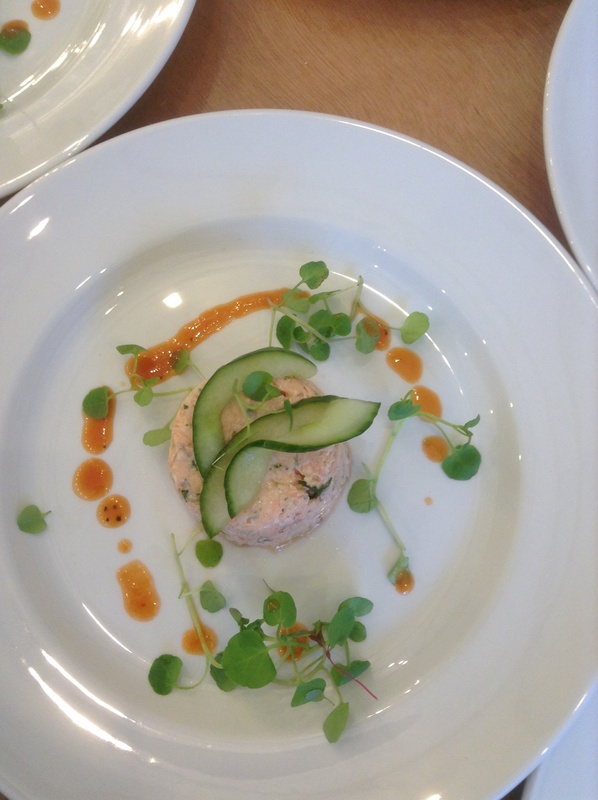 As if the prep alone for two weddings this past weekend, feeding over 350 guests wasn’t enough, John & Dan prepared a first class 3 course dinner for 18 high profile corporate clients in Covent Garden last night! 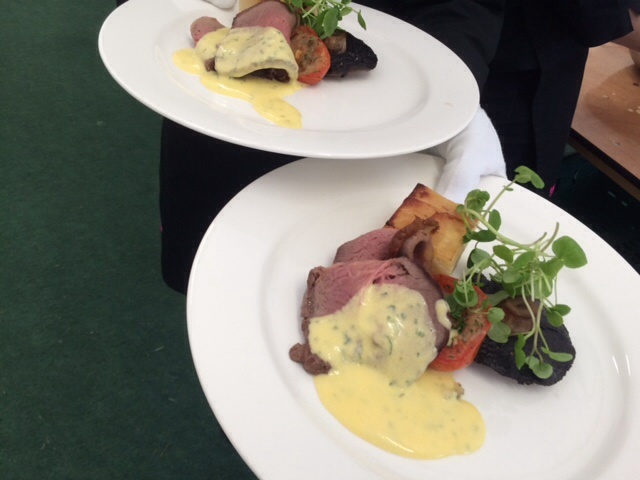 Saturdays Woburn wedding menu consisted of Sirloins of Beef and honey & orange glazed Gammon carved at the 25 tables, served along with sides of Buttered baby potatoes, Rocket, Parmesan & pine nut salad and roasted med veg with lemon & garlic oil. Every board came back empty! 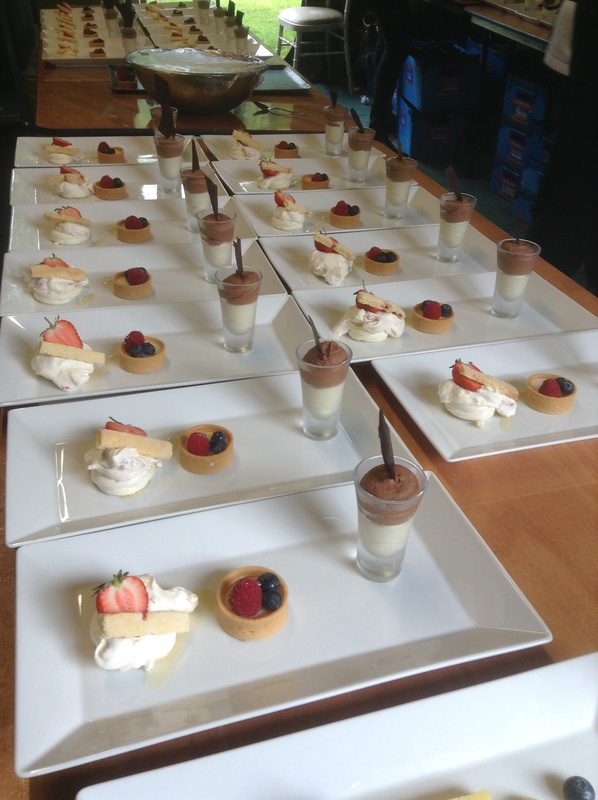 Then the challenge of plating up a dessert trio of dark chocolate torte with rum & raisin cream, citrus tart with summer berry Coulis and Eton mess, blossom honey with strawberry shortcake! 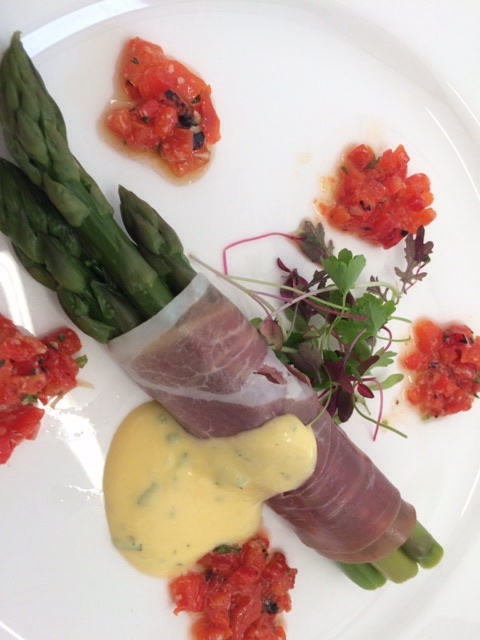 With 7 different elements per plate times the 250 guests that was no mean feat! At Saturdays other wedding at the beautiful North Hill Farm, Dan served a picnic style starter of Welsh Cheddar, homemade chicken liver pâté, mini quiches, chutneys and breads, followed by a BBQ on Beef & Stilton burgers, honey, soy and chorizo chicken skewers and pulled pork, again all served with sides and salads. Eton Mess appeared again, all this for 100 guests, delicious! After the volume of plates on Saturday, last night was about precision and finesse. 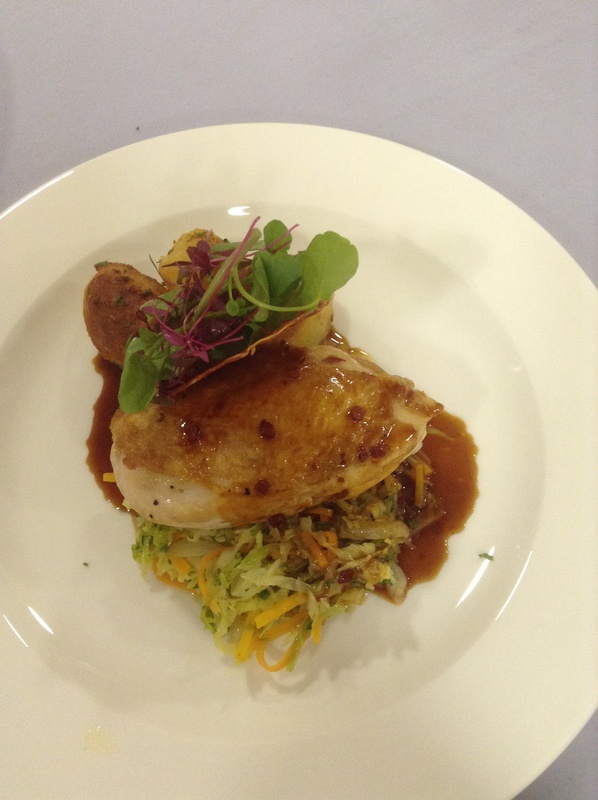 With a starter of Smoked Salmon and mackerel parcel, watercress, poppyseed snap, beetroot dressing followed by Roasted Breast of a Chicken, Goose fat roast potatoes, Alsace a Cabbage and smokey bacon jus. Cheese and coffee followed. 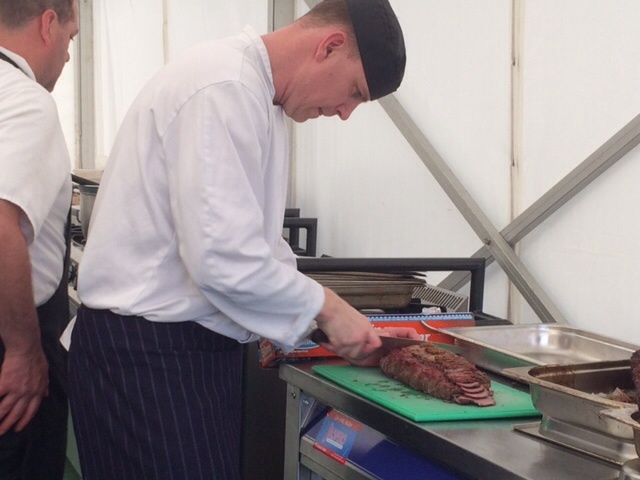 The plates of food looked stunning, and on the back of a busy weekend I just don’t know how John and his team do it! Their versatility amazes me! Brilliant! After such a busy weekend, one we all worked so hard at but thoroughly enjoyed, it makes it all the more special when you receive an email from our clients like this. It makes us realise we are getting it right and the best bit . . We love doing it! We just wanted to write to you to say a HUGE thank you for all that you and kingfisher caterers did for us on our wedding day. We were blown away with every aspect… The food was beautiful and all our guests made a special effort to tell us how much they loved the meal, the service was impeccable and all our needs were never an issue, the bar staff were awesome and everyone also said how impressed they were with the bar service and you as a day manager made the whole day so easy for us. Please let us know if we can leave a review or testimonial for you guys, we would be more than happy to do so. It’s safe to say it was by far the best day of our lives. We hope you enjoyed it too.